Ever since we've started the aero revolution, we've been developing individually tailored speed suits and aero race suits for the pro peloton. With our Speedwear concept, we make these developments available for everybody. 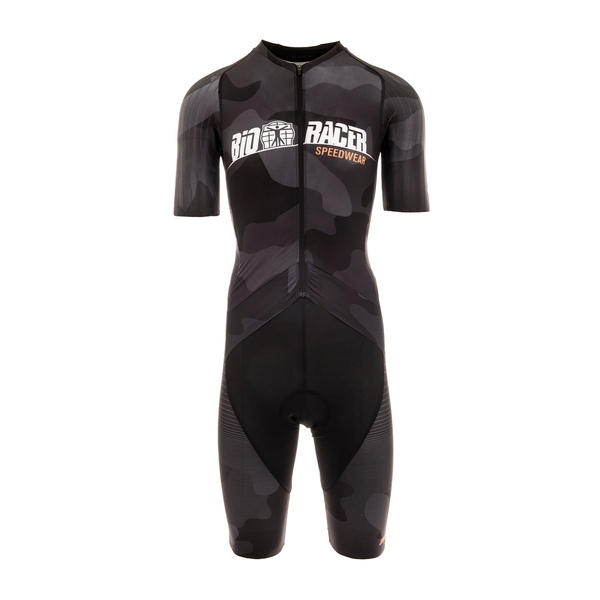 This Speedwear concept Road Race suit is developed for high speed racing on flat roads. 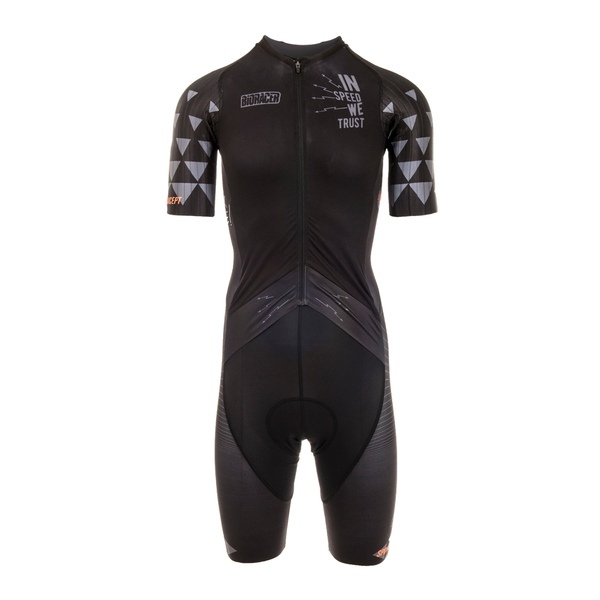 For the top, we've used the Airstripe sleeve inserts from our Speedmaster TT suit and the Lycra fabric with Speed Silk aero treatment for the torso. We've put 2 pockets in the back for extra cargo space. 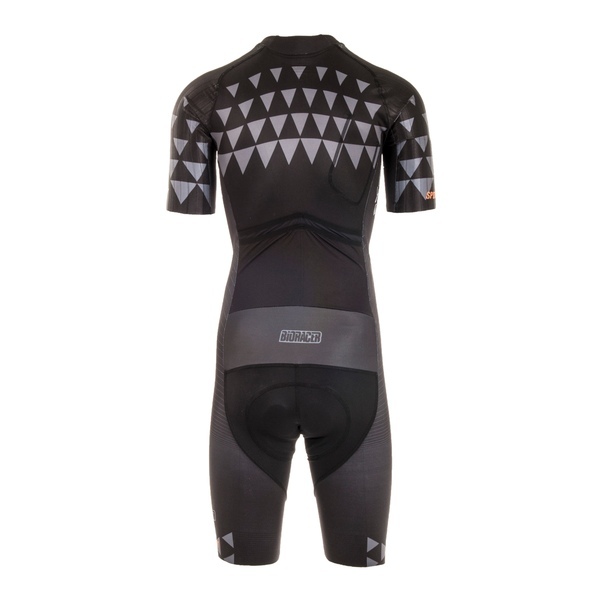 The back pockets are carefully positioned for a minimal impact on aerodynamics. 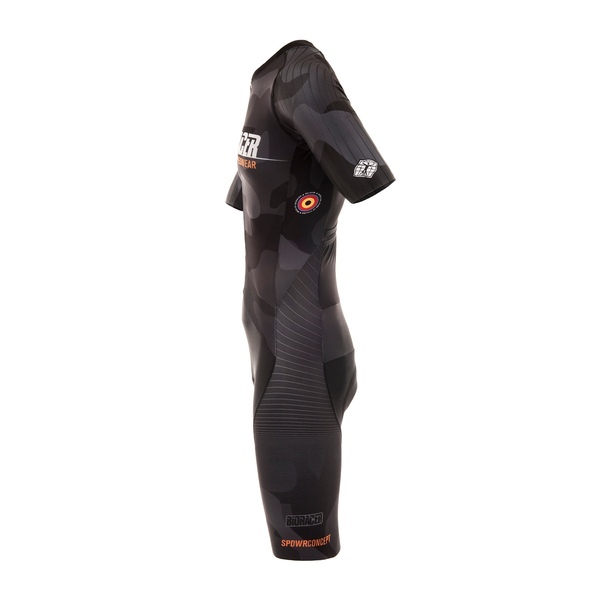 The short is made of a lightweight, stretchable and supportive fabric, in combination with a Speed Silked aero back panel. 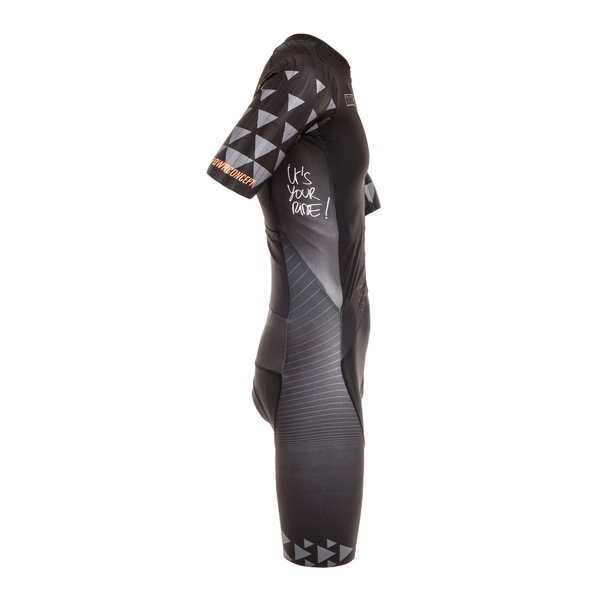 For extra wearing comfort and a good, irritation-free fit round the legs, we've used a Power Band leg gripper. The Vapor Men pad is part of our newest generation of pads, and it’s a big step forward in terms of breathability and damping. Main research question during development was: how can we improve the damping needed to cope with the stiffness of carbon bikes without adding more material to the pad? The result: Vapor Technology. 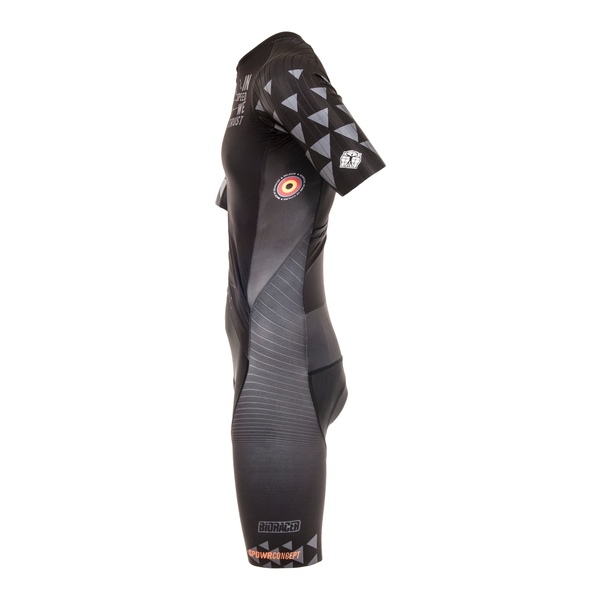 The pad materials consist of a friction reducing, breathable top layer. 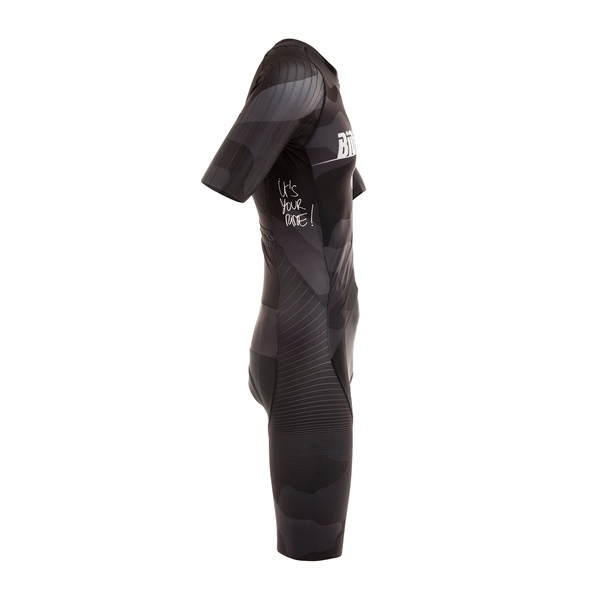 2 middle layers provide breathability and moisture transport. The main layer is where the magic happens. We use Evapore, which is a 3D webbing with better damping qualities. When put under stress, Evapore changes into a rubberized state, so even when it’s compressed to the maximum, it still provides damping. Moreover, this material is hydrophobic, meaning it transports perspiration. The pad remains dry at all times. Lower center of gravity on the saddle, more control of your bike. Stability on the saddle is improved. Better power transfer, less bulk. More support with only 30% of the material. Developed for high speed racing on flat roads.